Google Marketing proves there is an analytical way to deliver your message to your target market. Let’s face it, despite plenty of incumbents over the years, Google prevails as the most used search engine. Every day, thousands of people are searching for legal help via Google and what it serves up in its results for those searches is influenced considerably by SEO (search engine optimisation) and/or Adwords. If you’re requiring SEO help, we can assist right here. Increasingly people searching for legal help are time poor, on mobile devices or no longer care for the hierarchy of results that Google offers in response to a search term. Increasingly, the line between what is an ad and what is an organic search result is blurred. For example, if your a family law firm based in Melbourne, searches relating to family law will return results that are both ads and otherwise, the difference between them is becoming less defined. Trying to rank your law firm organically through SEO is difficult. Invariably, it is only the first 3 search results that garner any clicks, so anything after that is difficult to draw traffic. Again, if your law firm is a family law practice in Melbourne, ideally you want to rank positions 1, 2 or 3 organically for relevant search terms. If you can’t you have little or no choice other than contemplating Adwords. In the context of Adwords, here are the fundamentals. The Most Important Thing to Consider When Choosing a Law Firm Adwords Agency. Chasing keywords that are completely irrelevant. For example, a personal injury law firm we take good care of had an Adwords agency targeting keywords like “unfair dismissal lawyers,” “no win no fee family lawyers” and worse, had ad copy that was sailing very close to the line breaching ethical standards of the relevant law society. Grammatically are incorrect and unprofessional. One of our criminal law firm client had ad copy like this, “Best Criminal Lawyers Ever * Contact……Lawyers. We Never Lose Our Cases. Free Chat. Awesome Lawyers Ready to Help You with Your Defence” Not a great way to be representing your law firm and little wonder that this law firm’s Adwords strategy wasn’t working despite a significant monthly spend. Are not correctly set up. This is a little too detailed to go into here, other than saying Google recommends a variety of best practices to ensure both better click-through rates and conversions. Adwords agencies that do not understand the legal industry waste considerable dedicated budgets because of their typical broad-brush approach to targeting. For example, we typically see agencies targeting keywords and creating relevant ads based upon keywords that are not country-specific. In other words, in an Australian context, using United States search terms like, “criminal defence attorney,” “alimony attorney” etc. Are run by a one-dimensional agency. 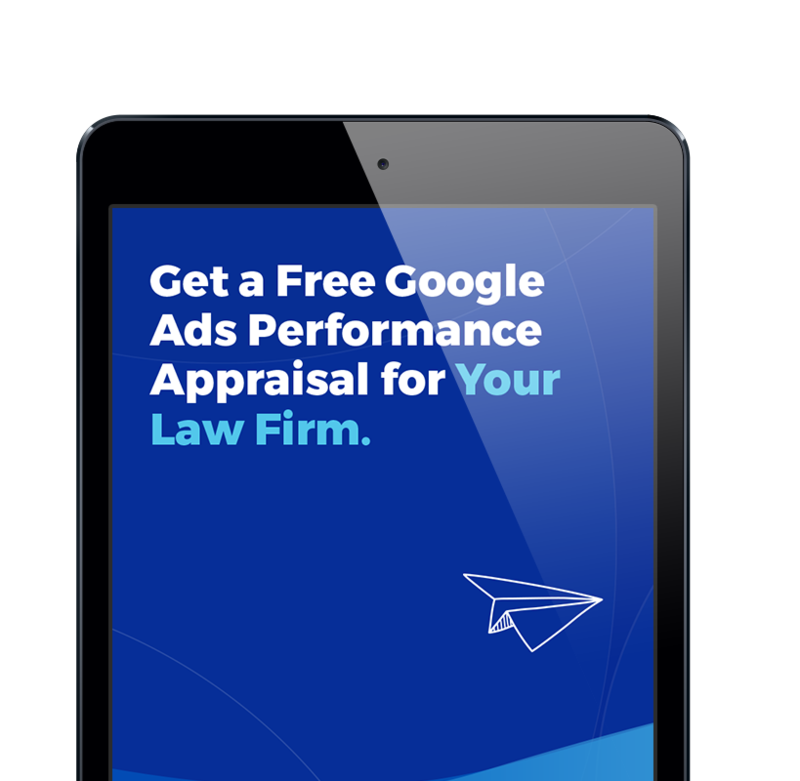 Great Adwords success derives from the ability and agility of your law firm’s adword agency to work across multiple disciplines. For example, writing ads, then designing corresponding landing pages, designing adword banners if necessary, A/B testing both the ads and landing pages and interpreting the data to understand how to optimise results. In short, we will relieve your firm of making the above mistakes when working with a non-legal marketing agency. Moreover, we’re a completely integrated agency and work collaboratively across all services, saving your firm the headache of dealing with multiple agencies in your quest to garner better results. Lastly and most importantly, we take this work and your nominated Adwords budget very seriously. For this reason, in June 2019 we will become Australia’s only Google Adwords Accredited (the Gold Standard) Law Firm Marketing agency.